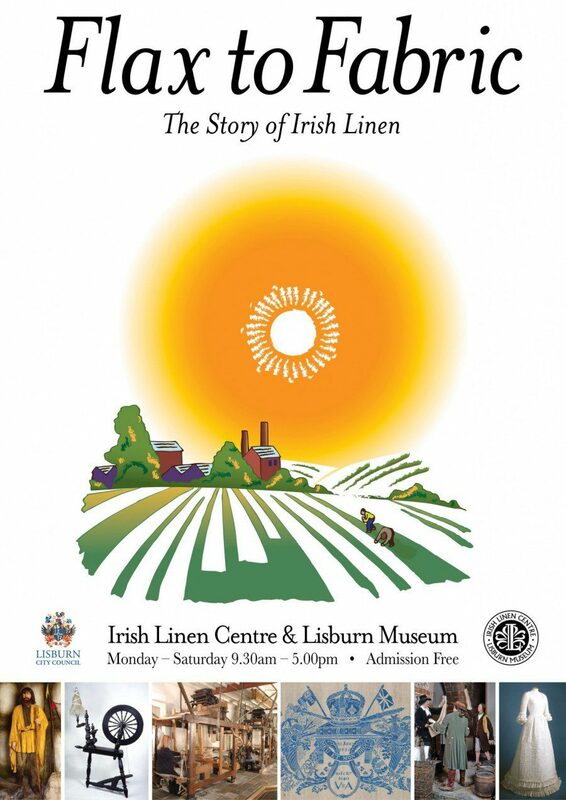 Trace the history of Irish Linen in our award-winning ‘Flax to Fabric’ exhibition. See finely-woven Egyptian linen, explore the history of flax production in Europe, or admire the long saffron-dyed tunics of the Irish nobleman. Visitors can also travel back in time and walk under the arches of Lisburn’s historic 17th-century Market House, where local cottage weavers brought their cloth to sell. Learn how flax was grown and prepared, and watch expert spinners turn coarse flax into fine yarn. Visitors can try the spinning wheel for themselves! 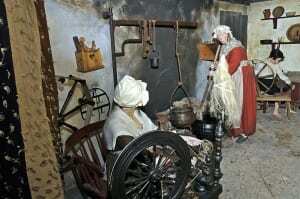 Travel through the spinner’s cottage, and see how the whole family was involved in producing linen. Irish linen was famous worldwide, and visitors can admire fine samples of Coulson’s damask, or dresses by Sybil Connolly, one of Ireland’s leading clothes designer. Her work was worn by Jackie Kennedy and Queen Elizabeth II. 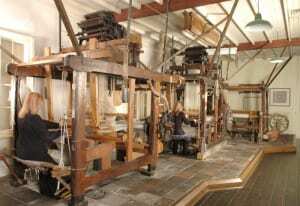 In the ‘Weaving Workshop’ see live demonstrations of the hand loom, chat to our expert weavers, or witness the innovate Jacquard loom weave intricate damask. Finally, get a taste of the highs and lows of industrial life on the ‘Factory Floor’. Complete your visit by browsing our Museum Shop, which sells a wide range of linen and craft goods, as well as books on the history of the linen industry and the Lisburn area. Tours of ‘Flax to Fabric’ can be booked through Reception.